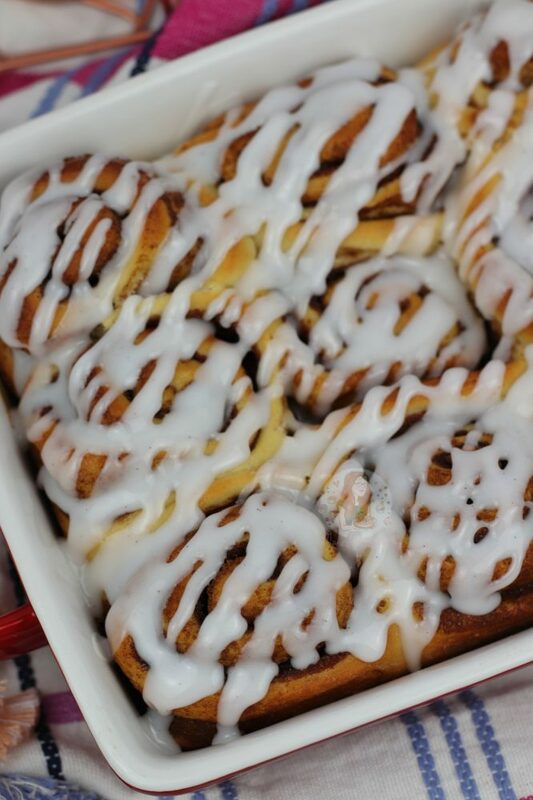 Delicious and sweet Homemade Cinnamon Rolls. 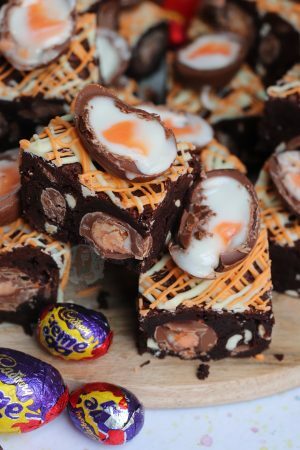 Easy to Bake, and even more Delicious to eat. So I’ve tried my hand at several different breads over my time of baking more, but most of that was at Cookery School. 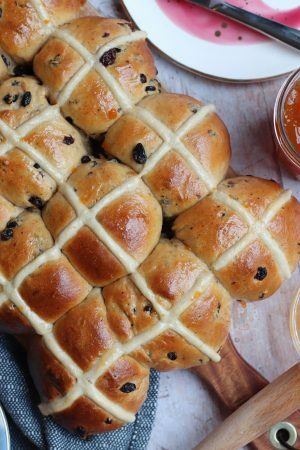 I don’t often post dough related recipes on here as I feel like there not going to have much of a reception, but I feel like I could be wrong there. Is it wrong? 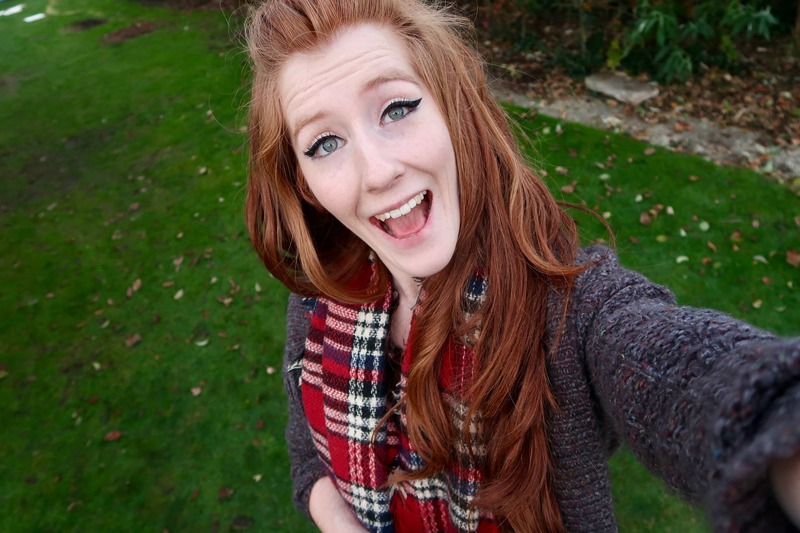 You tell me… but I bloody love bread. This recipe is based quite a lot on my Lemon & Blueberry Sweet Rolls recipe, because I just love it so much. I’ve never had an issue when baking them, and I just adore the Lemon and Blueberry flavours.. but the classic is Cinnamon really. I often get a cinnamon roll when I go to my local starbucks to work, and I do question why I haven’t posted a recipe for these sooner. 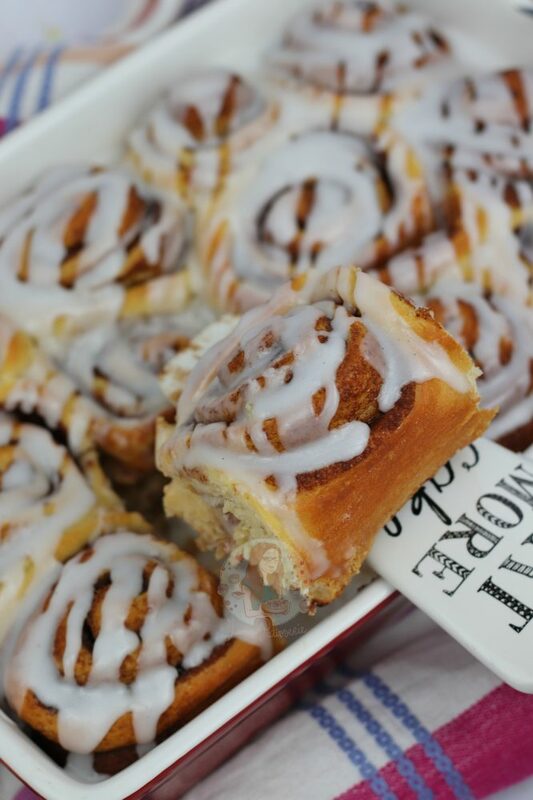 Obviously, if you aren’t a fan of cinnamon, you’re not going to like these. 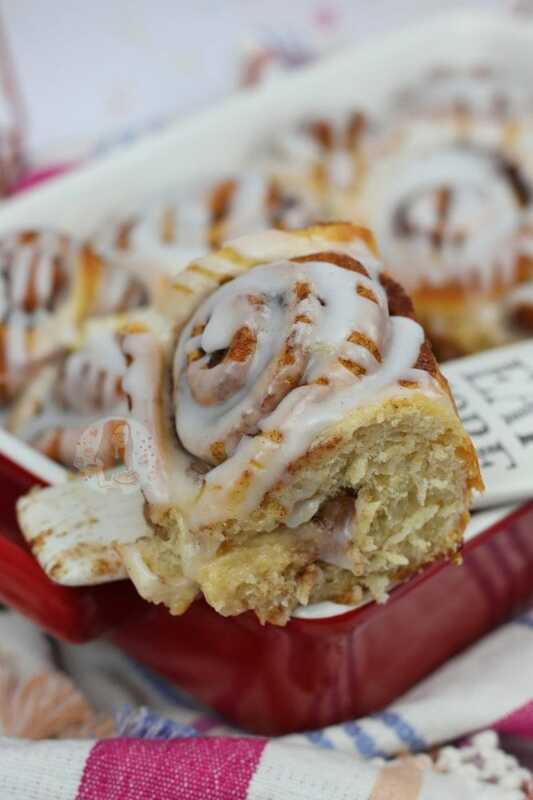 However if you like cinnamon, you’re going to be a BIG fan. I am obsessed. I adore my Baked Cinnamon Doughnuts recipe, because its warm and cinnamon-y, and these are just as good. A bit heavier admittedly because they are an actual dough, but still so cosy and warm. I realise it is now coming into spring and then summer, but I love cinnamon year round. A lot of people say cinnamon is a Christmas thing, and it is very good round that time of year, but my gosh I just adore it all the time. 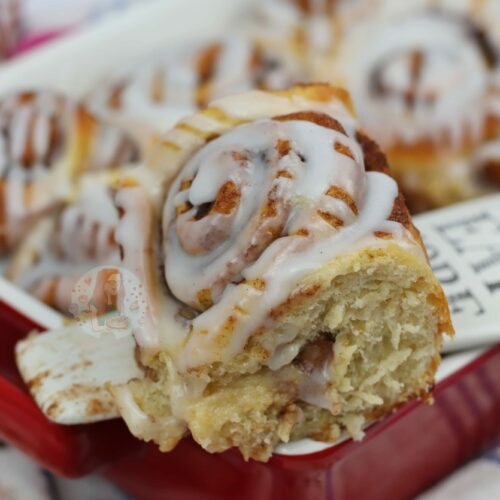 Cinnamon rolls are just the epitome of heaven in a bite. 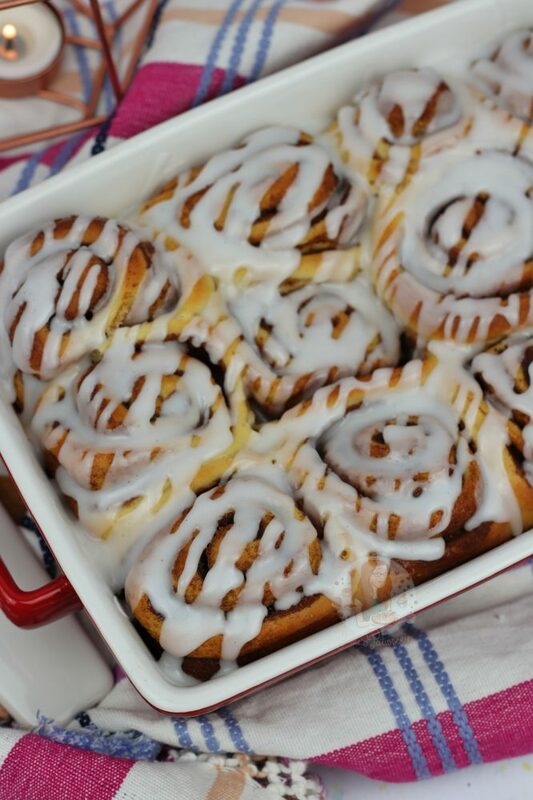 I make sure that my cinnamon rolls are quite thick with cinnamon goodness, but thats entirely your choice. They are very adaptable, and can easily be made less or more cinnamon like, but that’s something you can work out easily if you make these a couple of times. You work out what is your favourite. 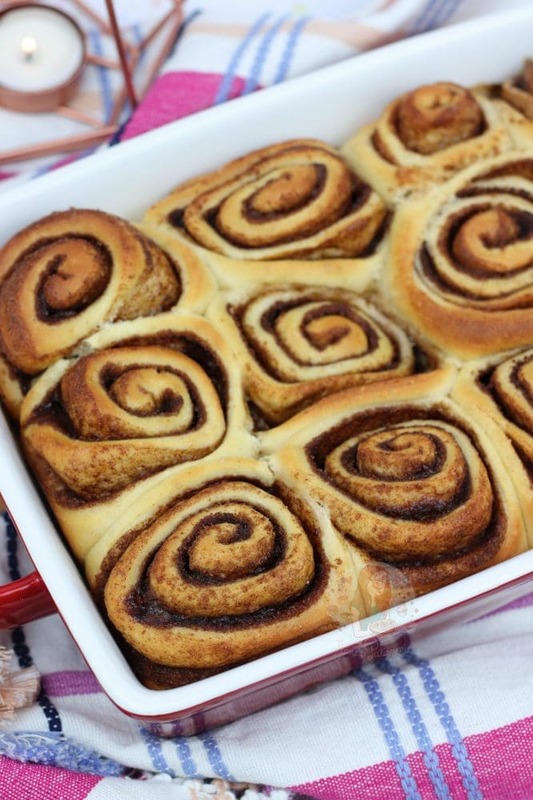 I will say I feel like I’m a bit of a cheat when it comes to baking anything like these, or my Sticky Chocolate Sweet Rolls, because I use my KitchenAid with a dough hook. 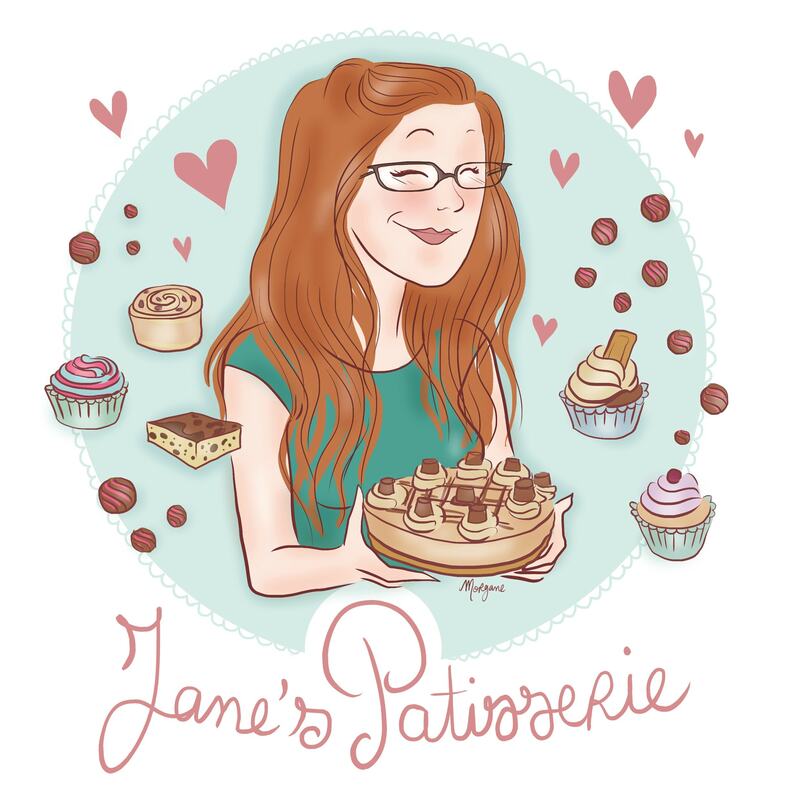 When I was in cookery school, I had to knead all my dough by hand, so I quickly learned the techniques because I simply had to, but now I don’t ~have~ to, I’ have become very lazy in that department. The dough hooks look a little weird when in use, but it works so well, and its so easy. Literally bung the ingredients in, and let it do its thing. It will be a sticky mess at first, but it soon comes together. If you are kneading it by hand, you will probably want to try kneading it in a bowl for the first couple of minutes so that you don’t have to add in too much extra flour to stop it sticking to the work surface. However, you do you. I am lazy, we all know that, so I let my dough hook do its thing. Sift the flour into a large bowl, and add the caster sugar and yeast. Mix these together so its all evenly distributed. Rub the butter into the mixture so it resembles bread crumbs, like you would when making scones. Gently heat the milk until warm - but not piping hot. If heating in a pan, you want it to just about start having steam come out of the pan. Add the milk, vanilla, and egg to the dry ingredients. Knead the dough together for 7-10 minutes. It will be sticky at first, but it will soon come together. I use my KitchenAid with the Dough Hook to make this easier. Once kneaded, it will be springy to touch, and not sticky. Transfer into a lightly oiled bowl, and cover the top of the bowl with cling film. Let it rise for 1-2 hours, or until doubled in size. Whilst the bread is proving, whisk together the light brown sugar, and ground cinnamon for the filling. Leave to the side for now. Once the dough has risen, transfer to a lightly floured work surface, and roll out to a large rectangle. Mine ends up being about 50cmx30cm. You want it to be as even a rectangle as possible so its easier to roll up, and the dough can be thin here. Gently brush the surface with the 45g of melted butter, and then sprinkle over the sugar/cinnamon mix. Roll the dough from long side to long side, so that a ~long sausage~ is formed. Cut this evenly into 12 pieces. I cut the middle, and then the two halves into two more, and then each into three pieces to get my 12. Using a large rectangular baking dish, mine was 30cmx24cm roughly, put them in. They won't touch yet, but you want four rows of three basically. Cover the dish with clingfilm, and let them rise for another hour or so. By the end, they should all touch. Towards the end of the dough rising, preheat the oven to 180C/160CFan so that when its finished rising, you can put it straight in the oven. Bake in the oven for 20-25 minutes, until golden brown and cooked through. 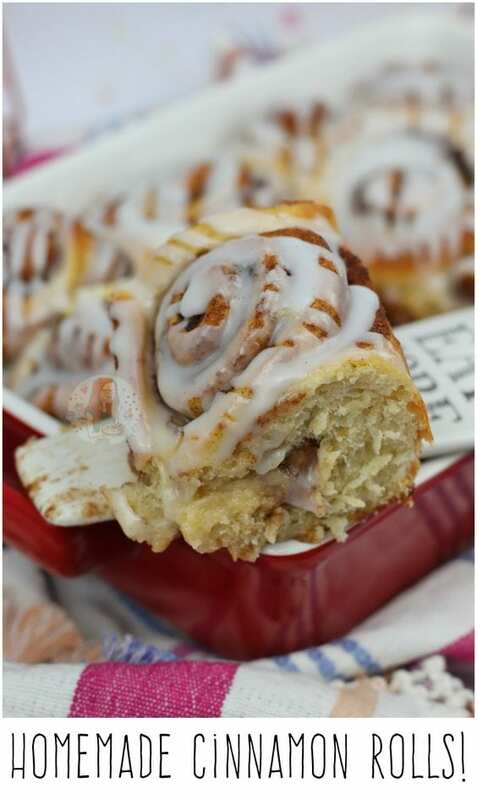 Leave to cool, and then make the icing. 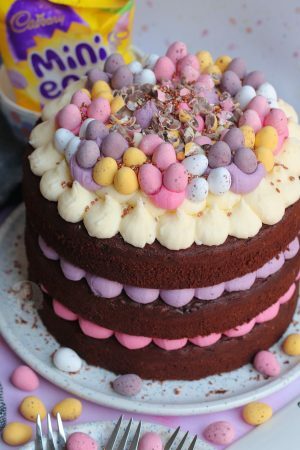 Simply whisk together the icing sugar, vanilla and water until a thick icing paste is formed, and then spread over the rolls. 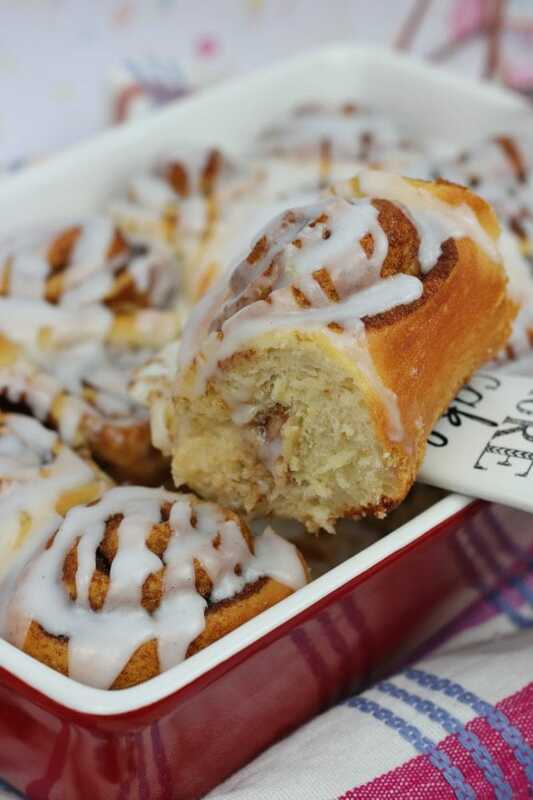 Enjoy by breaking apart and eating all the gooey cinnamon goodness. These are best on the day of eating, but will last covered for a couple of days. You can easily reduce or increase the amount of cinnamon that you use in the recipe, but I typically use two tablespoons for mine. I like it really cinnamon-y. You could also use cinnamon in the dough, but I like the touch of the vanilla instead. The icing on top is optional, but I often find when you buy cinnamon rolls, there is icing on top. I use this dried active yeast for my bakes. 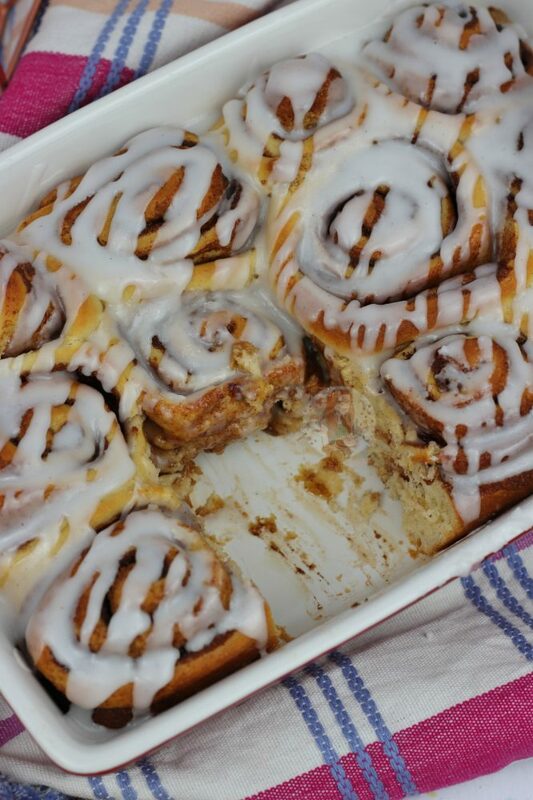 Find my other Bread & Cinnamon Recipes on my Recipes Page! Older Next post: Homemade Caramel Sauce! Newer Previous post: Baked Chocolate Doughnuts!